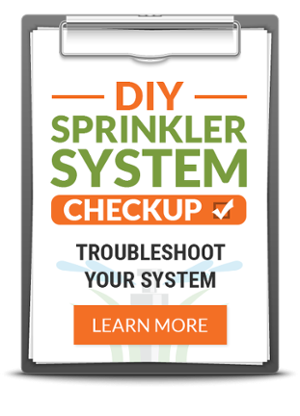 Our experienced, certified technicians can quickly and neatly diagnose and correct your sprinkler system problem. We are professionals and our technicians possess electrical, plumbing and horticultural skills. We can work on any brand of equipment, no matter who installed it and have your system up and running properly in no time. Unlike some lawn care companies in Kansas City, we don’t have lawn specialists who install or repair sprinkler systems on the side. We have Kansas City sprinkler repair and irrigation specialists who know landscape irrigation inside and out. Our irrigation manager is a CLIA (Certified Landscape Irrigation Auditor). We won’t just come out and install a sprinkler system in your yard. We install the best, most effective, water-efficient sprinkler system you can get. Here in Kansas City, we get all four seasons. When the weather changes, you can’t forget about your sprinkler system. Sprinkler systems require maintenance in the spring and in the fall. In the spring, it’s important to check for leaks, broken sprinkler heads, sprinkler heads spraying the wrong direction, and proper water pressure, and then calling a specialist in Kansas City sprinkler repair when needed. In winter, it’s very important to have your entire system winterized. This involves blowing all the pipes clear with air so no water is left inside to freeze and burst underground pipes. Call Heritage for sprinkler system maintenance year round. Once your system is installed, you’re stuck with it. Poorly designed irrigation systems waste water and ultimately cost you money. Make sure you hire Heritage irrigation specialists to install your sprinkler system. We install all types of sprinkler systems including RainBird and Toro. By paying attention to soil samples and root zone depths, pressure and flow rates, and conducting water distribution tests, the irrigation specialists at Heritage will save you water, money and trouble now and in the future. Plus, you’ll have the greenest lawn on the block. Heritage has limited availability for sprinkler system installations. Please call for more information. To schedule a Sprinkler Repair or Upgrade, call (913) 396-6858 to set an appointment.